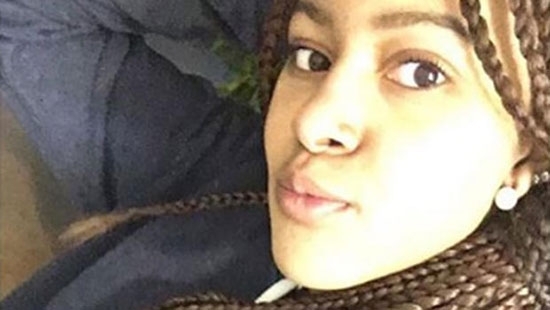 A judge in Delaware convicted two of the three teenage girls in the death of classmate Amy Joyner-Francis following a fight in a high school bathroom last year. Family Court Judge Robert Coonin read his ruling in court Thursday in the non-jury trial after a week of testimony. All three girls were tried as juveniles. The 17-year-old girl facing the most serious charge of criminally negligent homicide was found delinquent or guilty. The two other teens were charged with misdemeanor conspiracy. One was cleared of the charge. The other was found guilty for helping plan and carry out the beating. An autopsy revealed that Joyner-Francis died from sudden cardiac arrest caused by a rare undiagnosed heart condition. The fight exacerbated and triggered her condition causing death. Disposition or sentencing is scheduled for the end of May. Since they were tried as juveniles, the longest they can held in the system is until their 21st birthday. The charge of criminally negligent homicide could have brought 8 years in adult court. A Montgomery County man charged earlier this week with abusing and beating his two children for years is now facing additional charges related to his wife. 44-year-old Joseph Myhre of Collegeville is now charged with multiple counts of Aggravated Assault and Strangulation, as well as Unlawful Restraint, Simple Assault, Recklessly Endangering Another Person, Possession of an Instrument of Crime and Harassment. Charging documents describe how he beat and abused her. He stuck needles in her fingers, toes, and tongue. He hit her legs and feet with a stick. Most recently, he fractured her skull. That lead to the investigation that uncovered all of the abuse. He was arraigned by video on Thursday morning. Bail was raised by $1 million to a total of $2 million. He remains in Montgomery County Correctional Facility. A car crashed into a group home for the disabled in East Oak Lane early Thursday morning. It happened around 2:30 a.m. Thursday on the 1300 block of West Cheltenham Avenue near Broad Street. Two cars got into an accident and one veered off the road and into the corner of the house, ripping a large hole through the building. It is one of two houses at that location run by Blossom Philadelphia for adults with cerebal palsy. There were three residents and two staff members inside at the time. One staff member was in the front room when the car crashed through. They were taken to the hospital with non life-threatening injuries. The residents were moved to another location since the building suffered serious structural damage and will have to be rebuilt.